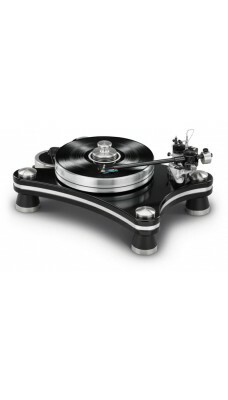 Incredibly Dynamic Sound and Hyper-Accurate Vinyl LP Playback: VPI Prime Signature Turntable Includes Reference 3D-Printed Tonearm, 300RPM Motor, Deluxe Chassis, and VTA Base VPI simultaneously returns to its high-end, high-performance roots and embraces new, cutting-edge technology with its striking Prime Signature turntable . Designed by Mat Weisfeld and overseen by VPI founder Harry Weisfeld , the Hi-Fi+ Product of the Year Award-winning Prime Signature sports modern, curvaceous looks that wouldn't be out of place on an elite supercar. Most importantly, this state-of-the-art analog instrument delivers gorgeously transparent, grandly dynamic sound that reaps all the unique advantages offered by vinyl LPs - and then some. Intricate, physical details that place the instruments in the room. Warm, rich, luscious tonalities and vast openness that encourage you to spin record after record. Rhapsodic, front-to-back soundstaging that allows the musicians to appear feet away from your listening position. Dead-quiet black backgrounds, reference-grade imaging, and unshakable speed stability that nails the pacing, timing, and balance with spot-on precision. Fine-tunable, calibrated, "on-the-fly" VTA adjustments while your LP is playing to give you maximum information retrieval and convenience. The U.S.A.-made Prime Signature is an engineering revelation - and a conduit to gripping emotional satisfaction. In this age of experiences, Prime Signature will reward you with countless unforgettable musical adventures. 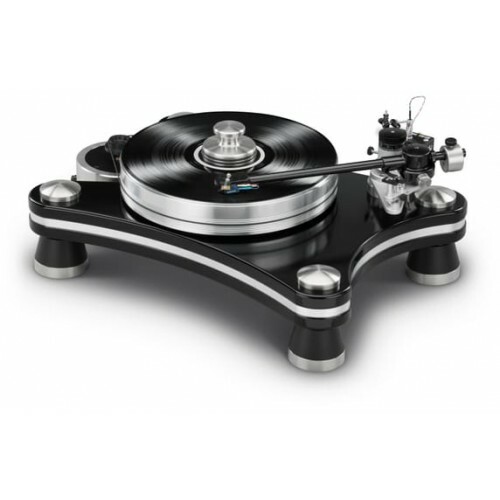 A serious upgrade from VPI 's best-selling Prime model, Prime Signature comes loaded with features that directly impact fidelity and performance facets. Consider: An enhanced JMW 3D-10 Reference tonearm with a metallic black gloss finish and Nordost Reference wire. A quiet, 300RPM 24-pole AC synchronous motor installed in a separate, aluminum-and-steel assembly for stunningly high torque. A MDF chassis bonded to an aluminum plate for extraordinary damping and resonance control.